With the trees no longer scattered around Ela Beach, a visit there can be quite a “hot” experience. The scorching Port Moresby sun and the humidity can at times be unbearable. But, believe it or not, this isn’t in any way stopping beach goers from enjoying their newly redeveloped beach. One young aspiring entrepreneur has made use of the situation by selling coconuts or Kulau as they’re commonly known here. It’s not just the fact that drinking Kulaus under the hot sun go well together, but there’s something even more about the young man and his idea that makes his story amazing. A young Highlands man by the name of Junior lives across Ela Beach along Brampton Street. 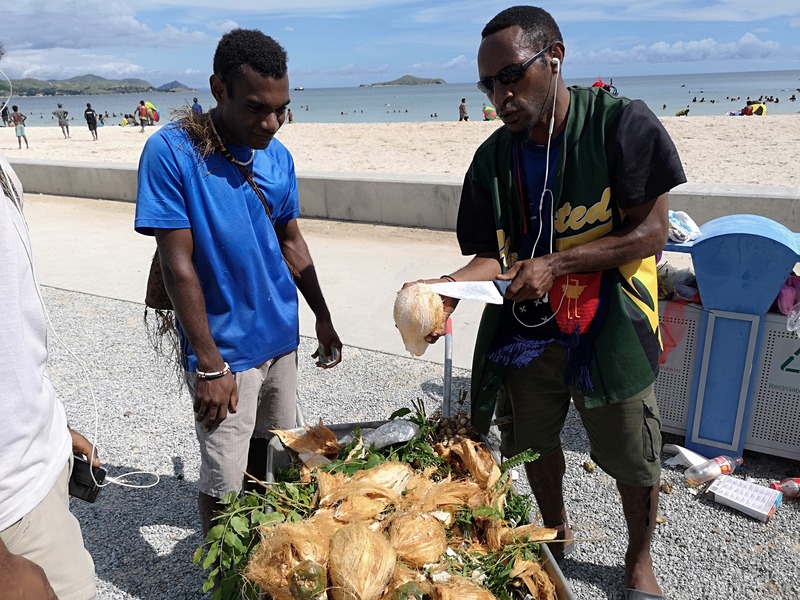 He says he once used to sell cigarettes and betelnut at the old Ela Beach but since the opening of the redeveloped beach under its new name Era Kone, selling of these items have been barred for good reason. Junior told us he decided to sell Kulaus because there are quite a lot of coconuts around where he lives and noticing that many of the beach goers are usually thirsty he thought Kulaus would be a perfect fit. 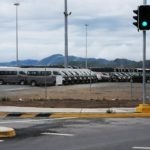 He says he could have still sold cigarettes and betelnuts secretly given that most of the guards around that area are his “mates” but he decided against it because he says “it’s not the right thing to do”. It’s this kind of response and mentality that makes you appreciate his venture even more and you hope that many other youth should follow. Junior carts the coconut filled wheelbarrow from one end to the other with his face noticeably dripping with sweat. But that’s not the only thing he carts around. He also carries with him a big cheesy smile on his sweat dripping face to appear more friendly and it doesn’t take long after speaking to him that he is actually very welcoming and open for a chat. He has a couple of mates that help him around. One takes the money, the other grabs a coconut and opens it up at the top for the straw to be placed and Junior likes to speak to the customers. They do it with ease and with a smile it creates a positive vibe. We told him he is doing a great job and he seems to appreciate the positive feedback. More people who buy from him should encourage him too. 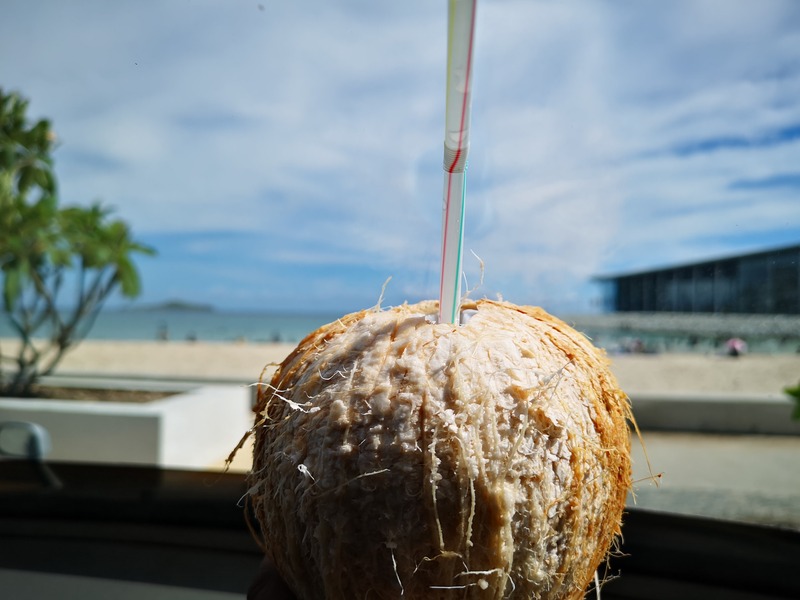 It’s not certain whether Junior’s decision to opt for coconuts as opposed to selling can drinks is for health reasons but regardless of the reasons behind choosing coconuts, it’s nevertheless a good choice. 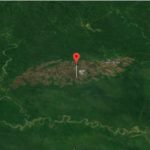 Many Papua New Guineans are dying from lifestyle diseases and recently local doctors on social media have posted about lifestyle concerns that many Papua New Guineans face and the need to change how we live. A change of eating habits is needed and people like Junior who may probably not be aware of the good they are doing indirectly should be encouraged. NCD Governor Powes Parkop has also been pushing for a better lifestyle and hopefully he too can encourage more people like Junior to provide goods and services around public places that do more good to our health and lifestyle. If you ever head down to the beach and see Junior and his mates or others selling local fruits and vegetables, by all means encourage them. One of the things us citizens can do a world of good is to let them know that we appreciate what they are doing and most importantly we buy from them.